Marijuana dispensaries operated by Marc and Jodie Emery were raided by police in multiple Canadian cities after the pair was arrested at Toronto's Pearson International Airport Wednesday night. Both are facing multiple drug-related charges. The married couple -- well-known marijuana activists who style themselves the “Prince” and “Princess of Pot” -- made a brief court appearance in Toronto on Thursday afternoon. Marc Emery has been charged with 15 counts, including trafficking, possession for the purpose of trafficking and possession of proceeds of crime. Jodie Emery has been charged with five similar counts. “We’re hopeful we can have a productive bail hearing tomorrow,” Jack Lloyd, one of the couple’s lawyers, told reporters outside the Toronto courthouse on Thursday. Just after 11 a.m. EST Thursday, police began raiding Cannabis Culture stores, which openly sell marijuana. The Emerys own the Cannabis Culture brand, which is used by 19 marijuana dispensaries in Ontario, Quebec and British Columbia. In a news release, Toronto police said 11 search warrants were executed in Toronto, the Hamilton area and Vancouver as part of Project Gator, a “Toronto Police Service project targeting marijuana dispensaries.” Seven Cannabis Culture locations, including five in Toronto, one in Hamilton and another in Vancouver, were searched, along with two homes in Toronto, one in Vancouver and another in the GTA. Security video posted to Cannabis Culture’s Facebook page shows police officers raiding several of the stores. "Our history of enforcing the law against illegal cannabis dispensaries is well established," Toronto police spokesperson Mark Pugash said Thursday. "This is the latest effort in our law enforcement, and I'm certain there will be further action." 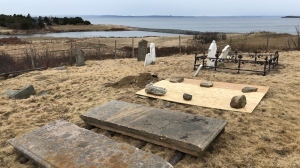 In addition to the Emerys, three others have also been arrested and charged: Chris Goodwin and Erin Goodwin, both of Toronto, as well as Britney Guerra of Stoney Creek, Ont. “The city of Toronto is engaged in a futile exercise to enforce prohibition laws that are outdated, outmoded, and not in the favour of the Canadian public,” Tousaw told CTV News Channel from Vancouver. The federal government is currently working on legalizing recreational marijuana use in the country, though Prime Minister Justin Trudeau has repeatedly stated that current laws banning the drug still stand. “Any dispensary operating in Canada is technically transgressing the Controlled Drugs and Substances Act, whether that’s for medical or recreational purposes,” Tousaw admitted. The lawyer, however, said that he believes that Canada’s current laws regarding marijuana run contrary to the Canadian Charter of Rights and Freedoms. “But it’s going to take a judge to say so,” he said. At Cannabis Culture’s Vancouver headquarters, a group of protesters gathered Thursday afternoon to decry the arrests and raids. "This is a move to attack Jodie and Marc Emery," Danny Kresnyak, editor of Cannabis Culture magazine, told The Canadian Press. "It has nothing to do with protecting the children or keeping it out the hands of organized crime or anything else that they're saying in their statements." 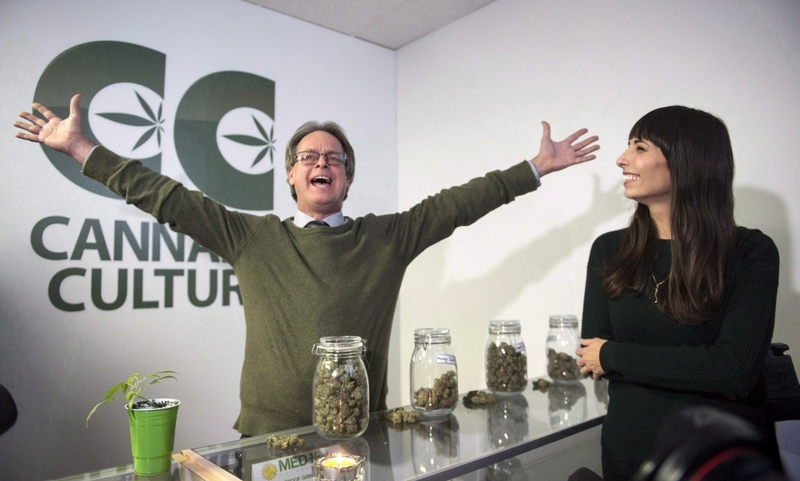 In December, Marc Emery was arrested at a new Cannabis Culture dispensary in Montreal and charged with drug trafficking. He has been imprisoned several times, including a five-year stint in a U.S. federal prison in 2009 for selling mail-order marijuana seeds to American clients. 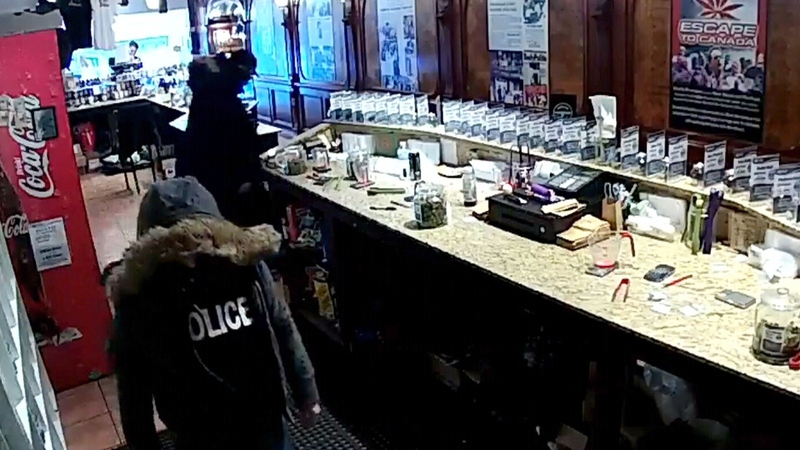 Security footage from inside a downtown Toronto Cannabis Culture store shows police officers inside.